Been reading a spate of management books. First I read a book by Ben Horowitz (one of the early employees at Netscape and a well-known venture capitalist), The Hard Thing About Hard Things. 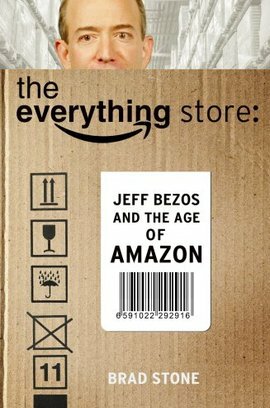 And now I’m reading Brad Stone’s history of Amazon.com: The Everything Store. What I’m struck by, in reading both of these books, is how hard people are expected to work. I know that founders work hard. I expect them to work hard, because it’s their company. But Jeff Bezos, at least in the early history of the company, expected every person to work insane hours. For instance, during the Christmas rush, he’d send every single employee (even the engineers) down to the warehouse to pack boxes and ship orders. And he didn’t issue bus passes to his employees because he didn’t want them rushing out to catch the last bus; he wanted them to drive, so they’d always have the option of staying later. And I just don’t get it. What motivates people to work their lives away for Amazon.com? I mean, it is an amazing edifice in lots of ways. And it must’ve been thrilling to create something that no one else had ever created: a store where you can literally buy everything. And to marry the technological and the physical worlds in such an intimate way. But at the end of the day, you’re still just working on a method to sell things to someone for slightly cheaper than the next guy can do it. It’s made even stranger by the way that Bezos treats his employees. He berates them harshly when they fail and doesn’t praise them when they succeed. And he feels no loyalty to them. He basically sidelines Amazon.com’s first engineer–the guy who built much of its infrastructure. And neither he nor Horowitz have any compunctions about firing early-stage employees once their skillset has been outpaced by the company’s growth. Which is fine and everything, but it means that the company is basically focused on its own bottom line. Which means that everything these employees are being sold (about this being “our company” and “our team”) is a lie. So why do people believe the lie? Is it just equity and salary? Is that enough to motivate people to undertake these kinds of hours? I don’t know, maybe it is. After all, investment bankers all hate their jobs and they all work insane hours and they all do it mostly for the money. But in the startup world, I think it’s more than that. In some way, Bezos and other charismatic founders are able to sell their employees on a vision for their company. They’re able to sell the idea that this is a special moment in history, and that these employees are really part of something. And I suppose in some ways they’re right. I guess that’s what being a good leader is all about. People don’t believe the lie. It is all about equity and salary. And these days, people work insane hours because they have too, not because they want to. For baby boomers, long hours were a prerequisite for success. Since the financial crisis, long hours are now a prerequisite for economic survival. I guess. I am not sure that fully explains Amazon, though. The company is notoriously stingy with both equity and pay.